Codemotion is the biggest tech conference for software developers in EMEA, with an international network of over 40.000 developers and more than 3.000 speakers. Codemotion is open to all languages and technologies, with a focus on topics such as Front-End/Back-End, Security, DevOps/Architecture, IoT/Maker, Cloud/Big Data, AI/Machine Learning, Design/UX, Game Dev and VR/AR. This wide range of topics reflects the multi-disciplinary nature of this event. 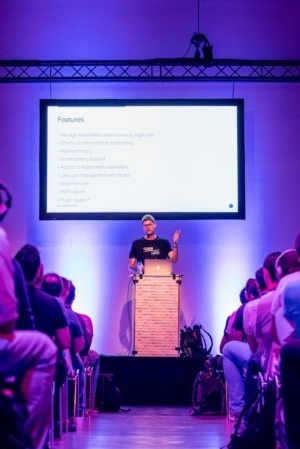 Be part of it all: join Codemotion Berlin on November 20-21 2018!